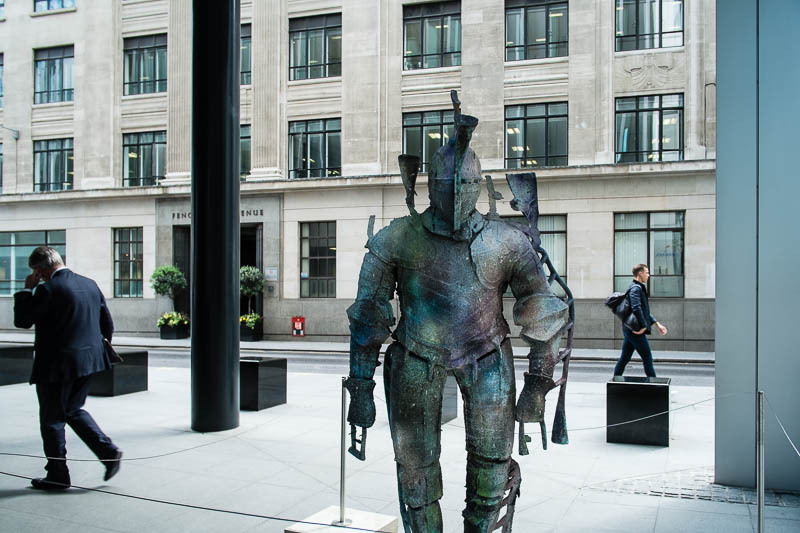 Today's sculpture in the city is by Folkert de Jong. "old DNA" was created by a scan of a suit of armour worn by Henry VIII in his later years. The piece is described as "a psychological portrait of power and the way it can endure and decay". Smashing picture, I really like the positioning of the other figures..
Love the colour of the armour! Te guy walking on the right also looks like a statue on a plinth.